MNC's who choose to operate in more than single country can operate its business through a wholly owned subsidiary. 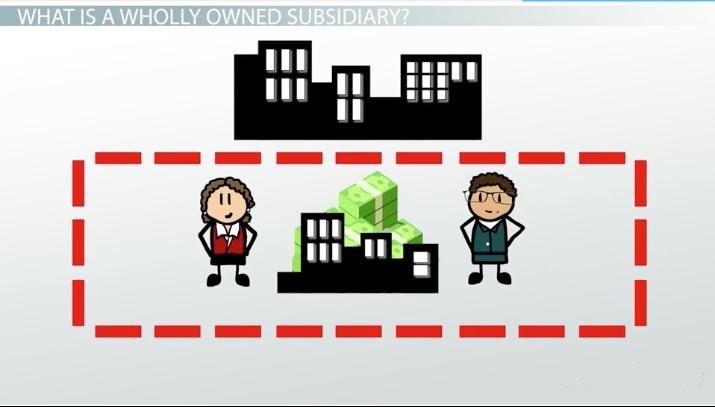 Wholly owned subsidiaries can be called as those companies in which Parent Company owns all the shares of the subsidiary which gives access to the parent company to select a board of directors of the subsidiary or control the subsidiary.Wholly owned subsidiaries can also be a part of a different industry. The subsidiary company is a company which can be incorporated by accessing the most of shares of the company (more than half) or either by way of controlling the composition of a board of India. These type of companies can be called as a private limited company in India. They are recognised as Indian companies under the Income Tax Act, and they are also eligible for the deduction and exemption benefits like other Indian companies. 1. There must be minimum 2 shareholders. 2. There must be 2 directors, one must be an Indian resident. 3. All the directors must have DIN (Director Identification Number). 4. All the directors must have DSC (Digital Signature Certificate). 5. Less than a month of the incorporation , it is necessary to introduce a minimum paid-up share capital of rupees one lakh. It provides the benefits to both parent company and as well as to the subsidiary company. Benefit to a parent company who can execute strategic control over its subsidiary company. It provides a benefit of cost synergies by using a common financial system, sharing the administrative cost and other expenses between parent & subsidiaries. There is a limited liability for both the companies. It provides protection and security to the company’s trade secrets, expertise and technical knowledge along with the control over the operations. A foreign company can incorporate a wholly owned subsidiary in India after considering all the benefits tied with it.